The Graduate Diploma in Public Relations offers working professionals the opportunity to acquire fundamental knowledge in public relations; enhance their communication skills; compliment their work experience; and advance their career. It is designed to equip graduates of disciplines other than communication with essential skills and competencies that may lead to a variety of job opportunities, including work as a public relations specialist, marketing assistant, account executive, campaign speech writer, media planner, lobbyist and press agent. Students learn how to design and implement professional communication plans for clients in a variety of settings by employing traditional and digital media techniques and a wide range of public relations skills including writing for the media, leaflet and poster copy, as well as event planning and organization. Develop a systematic understanding of the strategic function of the practice of professional public relations in diverse areas and settings. Critically assess an organization’s internal and external communication requirements and develop the ability to research, manage and implement planned communication programs. Develop a range of discipline- related transferable skills that will allow them to work in creative and independent ways. Adhere to the highest professional and ethical standards in the practice of public relations and other communication related careers. Students must successfully complete 5 graduate-level courses, representing 15 US credits that are cross listed with the MA in Strategic Communication and Public Relations. The program may be completed in one year (full-time) or up to two years (part-time). Classes run Mondays to Thursdays from 18:00-21:00. New students are admitted at the start of the fall, winter and spring terms. 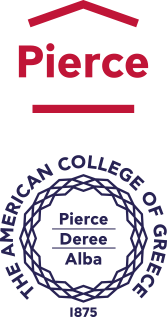 Deree – The American College of Greece aims to attract the highest quality graduate applicants regardless of their ability to finance their education. For this reason we offer scholarships covering a portion of the cost of tuition to all applicants who have demonstrated exceptional academic performance. A discount policy is also in effect for organizations and ACG alumni. For more information on eligibility contact our office of admissions or visit the financial assistance page. Motivation and/or relevant experience to specialize in this area: Evidence of strong motivation to work in communication related areas will be sought in the interview and the personal statement submitted with the application form.